We encourage all Harvard GlobalWE members to take an active role in our growing organization. There's always work to be done, so please consider pitching in! In addition to welcoming members to donate their time in areas in which they have experience and/or have interest (there's always a place for you! ), volunteer help is most urgently needed in the following areas, with some roles attached to possible Board of Directors positions. Should you have an interest in any of the following positions, and/or to become more active in Harvard GlobalWE, please email globalwe@post.harvard.edu. Work with the GlobalWE Board to market our GlobalWE Essay Contest, read submissions, and follow up with students and schools. This is a great opportunity to learn firsthand about issues facing women and girls worldwide, and to interact with women and girls from different cultures, religions, and countries. ​Work with our experienced GlobalWE Annual Womens' Empowerment Expo team to identify and reach out to organizations, identify marketing opportunities, and work on event logistics for our hallmark annual event. This is a great opportunity to connect with our GlobalWE team, fellow alumni and students, and other nonprofits doing exceptional work in areas related to the empowerment of women and girls both locally and globally. While there are always ways to donate your time and experience to GlobalWE, we understand that many of our members may not be able to donate time to the organization. 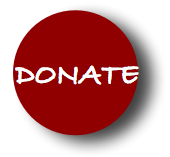 Harvard GlobalWE Membership is free, however we are a non-profit and welcome monetary donations to defray administrative costs. Thank you in advance for any support that you can provide. Please click the Donate button below to support Harvard GlobalWE's mission and efforts.